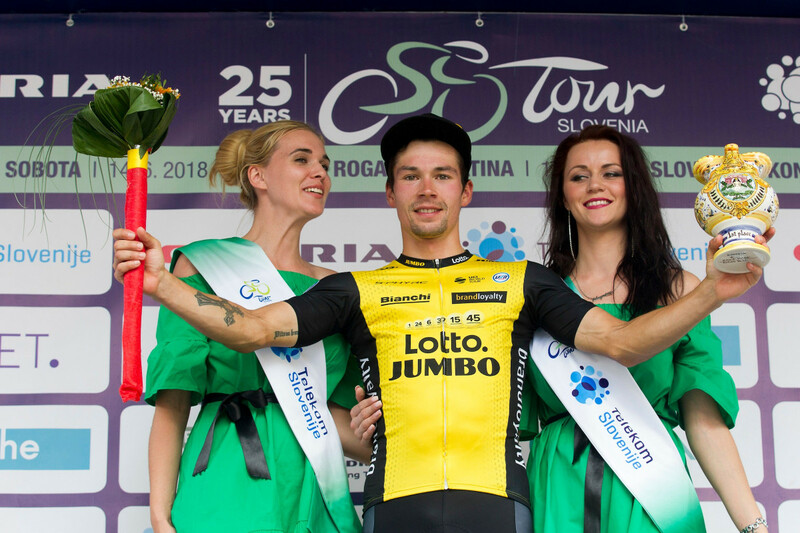 Slovenian cyclists did an outstanding job today on the Tour of Slovenia and give fans what they wanted – 4 of them were in top-10, with Roglič winning the stage and taking the green jersey. 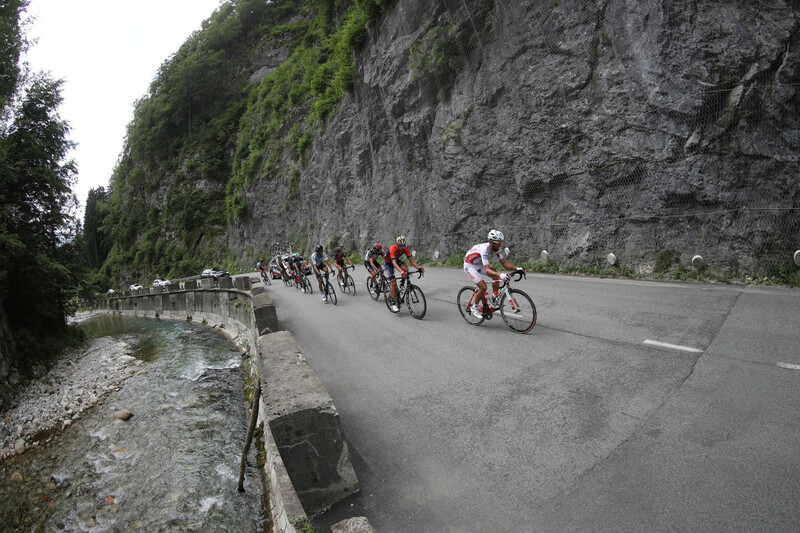 Fourth stage of the Slovenian tour got a nickname Alps stage due to the three hard climbs in the Kamnik-Savinja Alps. Slovenian hero Primož Roglič (LottoNL-Jumbo) attacked on the last of the three climbs (Volovljek, II. cat, 1039 m) and reached the top alone, but after that he still had 20 kilometers to the finish. He gave everything on the descent and then showed his time-trial capabilities and finished the race 33 seconds ahead of the chasing group. He’s now in the green jersey of the race leader, which should be enough to secure overall victory. 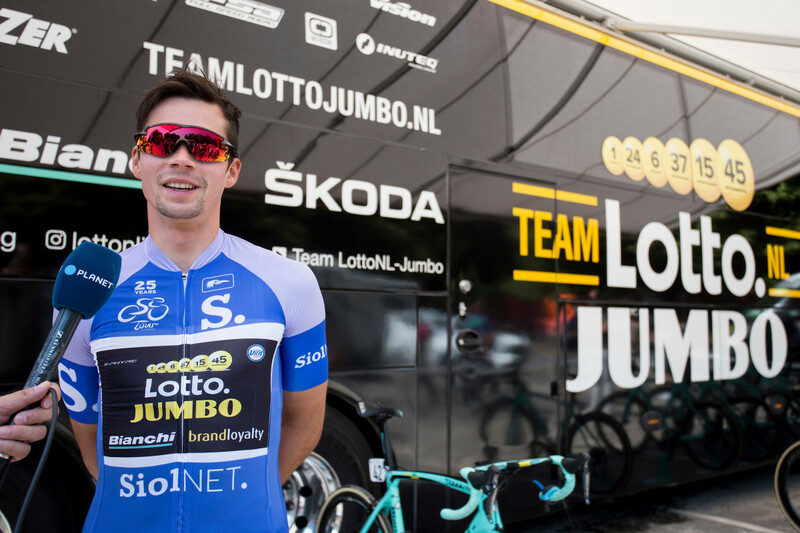 There is just time-trial ahead and Primož excels at it. 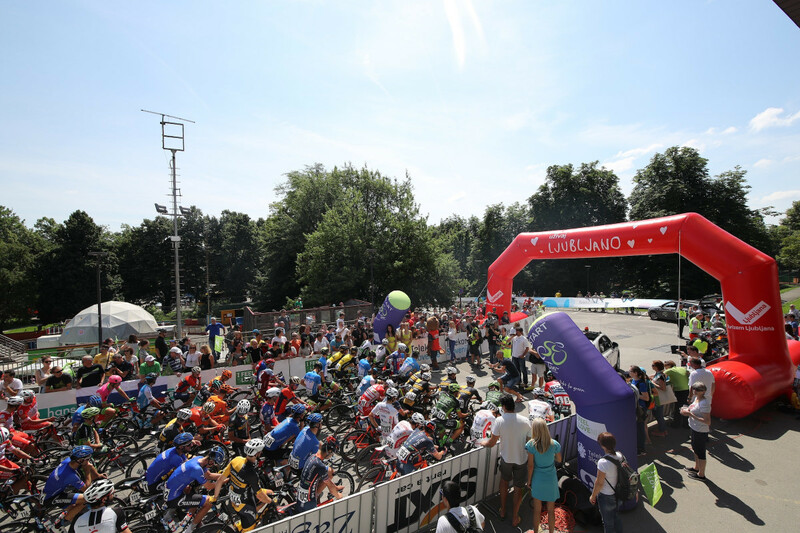 Race started in Slovenian capital Ljubljana, first 60 kilometers were more or less flat with three intermediate sprints. 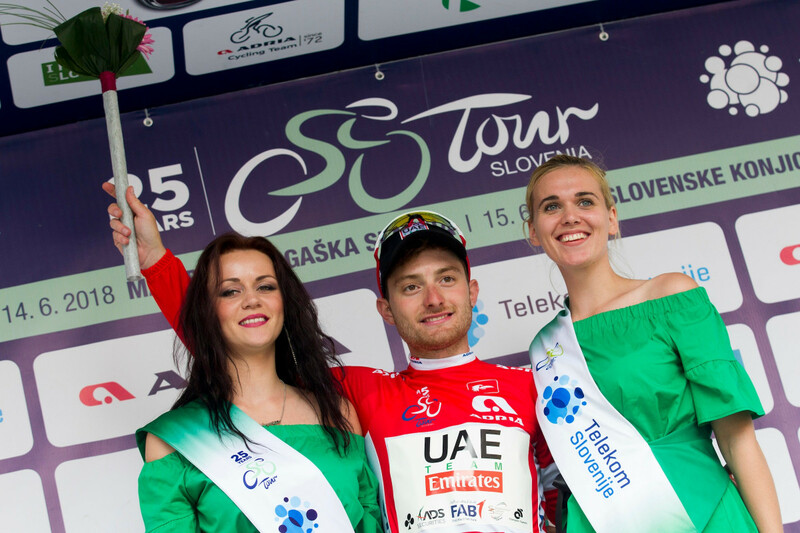 Italian Simone Consonni (UAE Team Emirates) – winner of the first stage – won two of them and secured himself a red jersey. 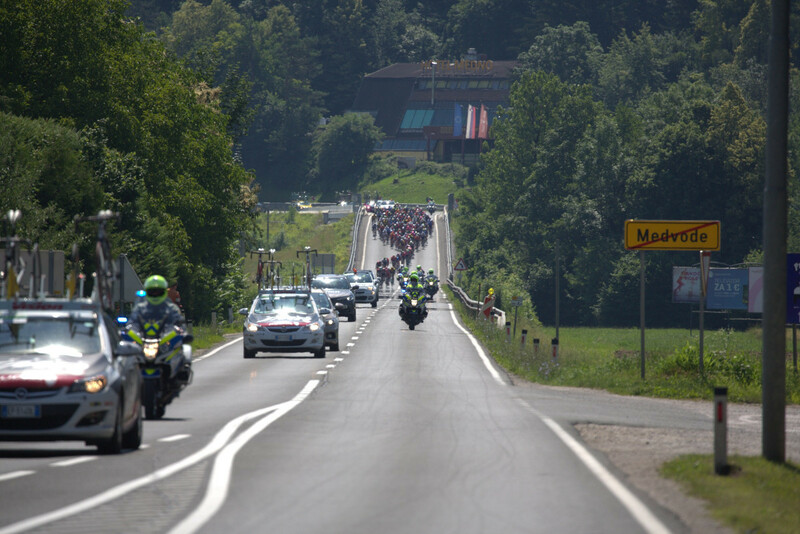 Soon after that the first successful breakaway happened, the group was 14 men strong on its peak and had a lead of over two minutes. 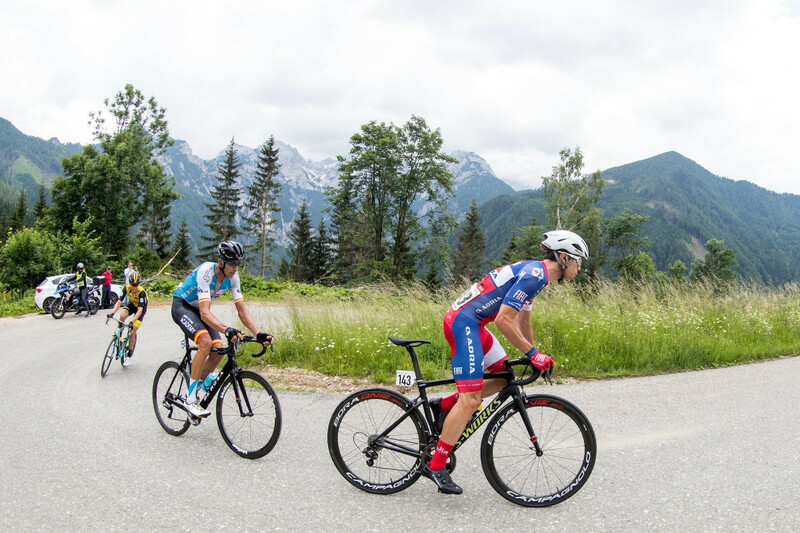 On the top of climb to Jezersko (II cat, 1211 m) Italian Fausto Masnada (Androni Giocattoli – Sidermec) made a solo break. 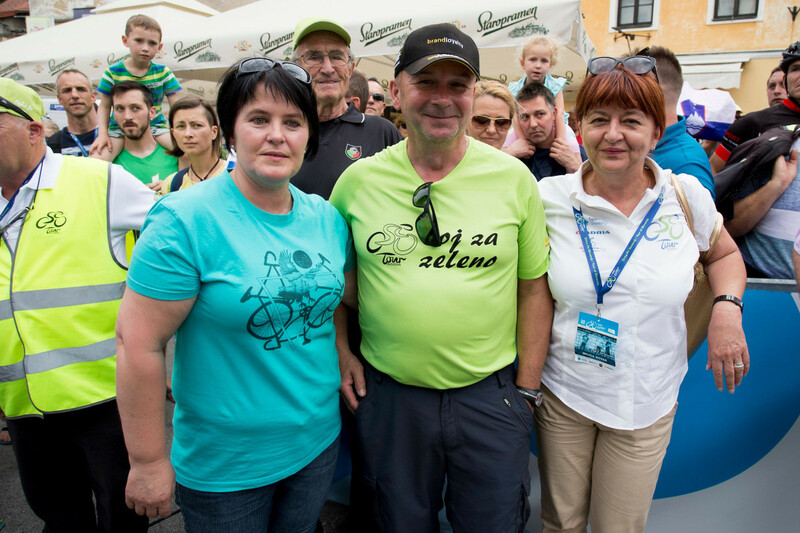 The group behind him felt apart at first and reorganized only after the hardest section of the race – five kilometer long climb to Pavlič Pass (I cat., 1338 m, average incline of 10.2%). Masnada also conquer this one and got enough points to take the blue jersey for the KoM classification. 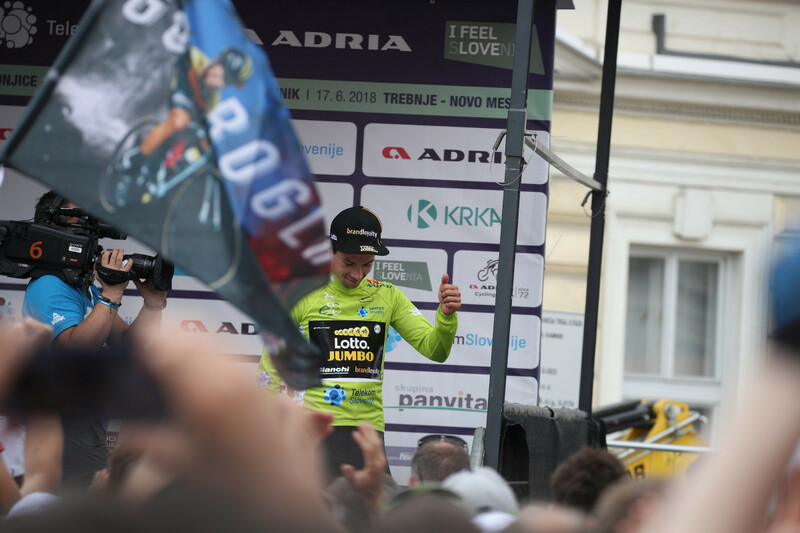 Now came the time for the best climbers that formed a strong chasing group, including 3rd stage winner Rigoberto Uran (Col/ EF Education First-Drapac p/b Cannondale), 2017 Tour of Slovenia winner Rafal Majka (BORA hansgrohe) and Slovenian favorite Primož Roglič (LottoNL-Jumbo). 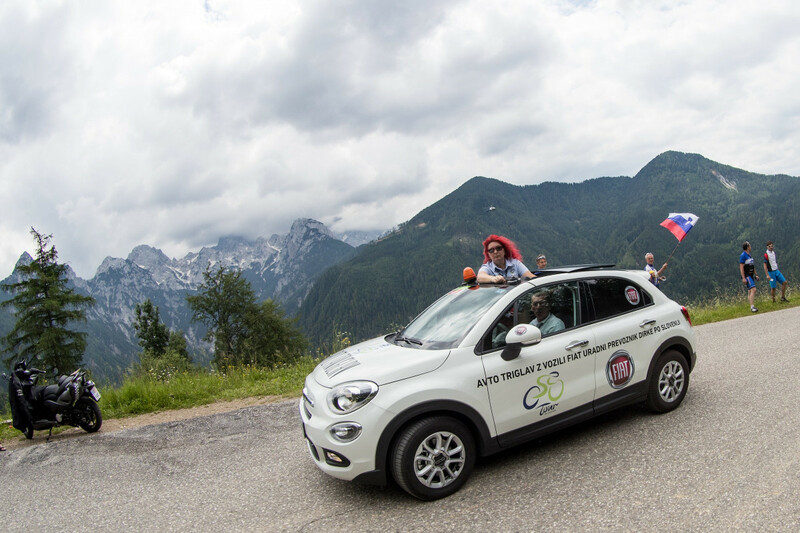 And this is where we’re in the beginning of today report – on the amazing attack by Roglič and his stage victory. 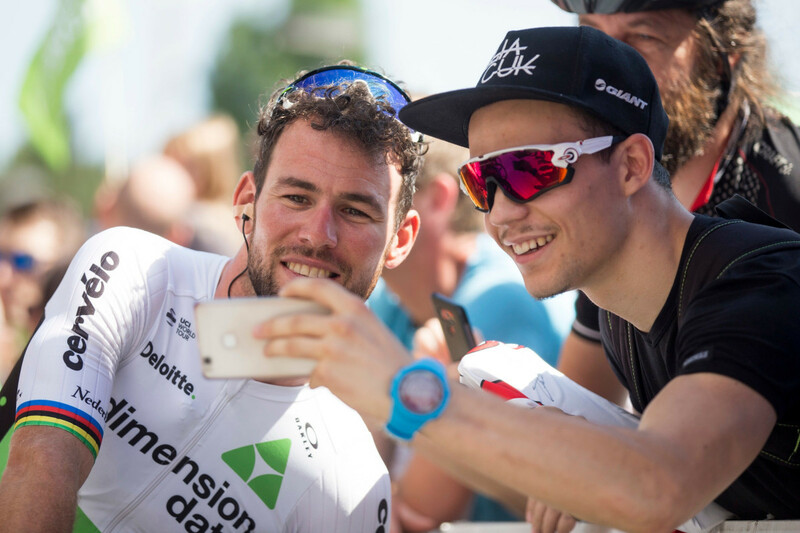 Tadej is three seconds behind “white jersey” Australian Michael Storer (Team Sunweb), who was 6th on the stage. 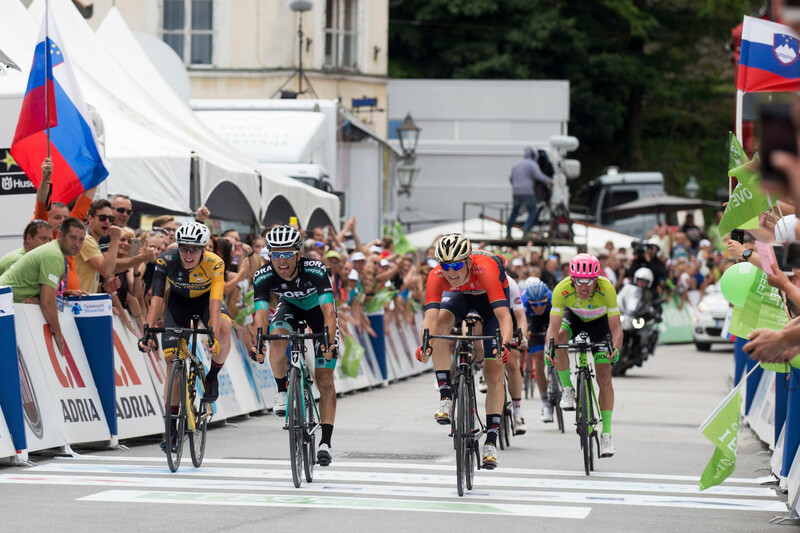 Last day of the race will gave us the final winner of the 25th edition of the Tour of Slovenia, anything else than a confirmation of the Primož Roglič’s win would be a surprise. But this is racing and anything can happen.